Cold winter is about to go away and all the brides-to-be are waiting for Spring 2016 season to organize their weddings. 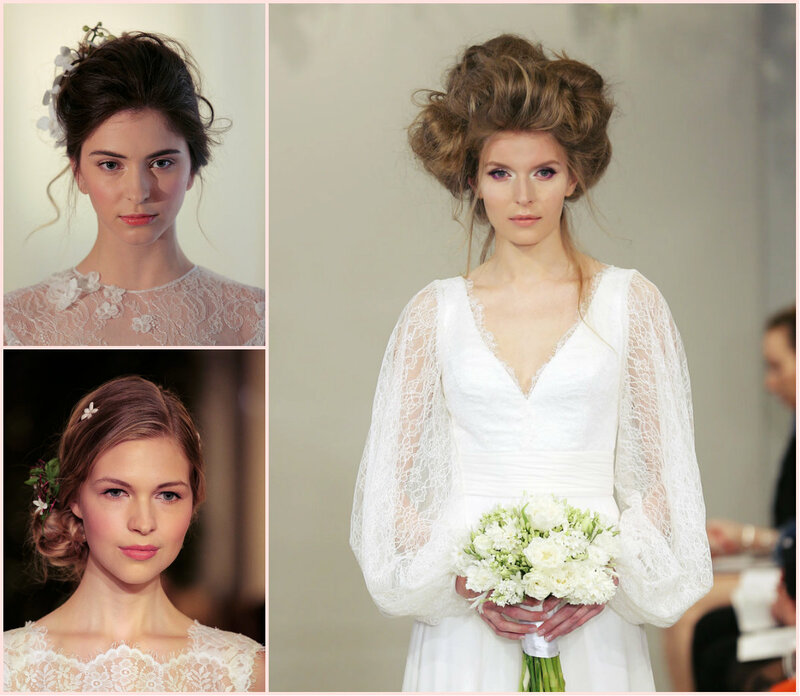 Before going to that no here is the time to consider wedding hairstyles 2016 to be an on-trend and modern bride. Runway shows representing SS16 collection are full of inspirational styles, and we can surely say that the new season will bring cute hair accessories and chignons for bridal ceremonies. Of course, nothing new about it, but imagine butterflies in between the tresses, and super white make up on face... Well, from the most inventive Marchesa and Oscar de la Renta the most amazing bridal hairstyles are here to inspire you, girls! The year has just started but we are already fully involved in awards season. And here we are today to witness Critics Choice Awards 2016 celebrity hairstyles and beauty looks. On Sunday night just after the Academy made the selection of best movies of 2015 the critics went forward to express their opinion, criticize and select the films for their awards. Thank goodness, the winner is Leonardo DiCaprio that is also the number one nominee for Oscar´s and we do believe and hope that he will finally get the statuette. However we are not for Leo here but for the celebrity hairstyles and evening looks choice, we won´t criticize, but will show you the best solutions and hair trends 2016. In this crazy world where each minute is important and can't be wasted we have found ideal ponytail hairstyles that will save your time and efforts and will allow you look attractive and feminine. We are talking about messy ponytails. All you will need to do to create them is pull your hair up and tie with a band without combing and polishing. You will get the most popular hairstyles for our reality that are worshipped not only by common ladies but by the most well known celebrities. In everyday life on on the red carpet, these pretty hairstyles really rock and inspire for the daily makeover. As the well known advert's song, I will repeat - Holidays are coming. And sweet scent of the Christmas Turkey and ginger cookies seems to be all around. Now it is high time you have chosen you own set of holiday hairstyles. And the what can be a better inspiration than not very complicated cute celebrity party hairstyles. From the singers, to actresses, from models to designers, today we will take a look at the gallery of perfect and simple holiday hairstyles. You know well enough that it is not only about Christmas and New Year eve, but about more than a week of parties and celebrations, so having in mind several fantastic popular hairstyles will help you look perfect during all the winter holidays. When magic is all around, when we become childish and start to believe in miracles – be sure Christmas is all around! This is the time for magical makeover and the holiday hairstyles should be your best guide to get the most fabulous looks ever. It is not only about gifts and presents about families uniting to celebrate the Christmas Eve, but it is also about impressing everybody around with incredible appearance that shouldn’t be casual on the one hand, and shouldn´t cry out loudly on the other. Christmas holidays are coming very soon and it´s high time we discussed party hairstyles. And of course, the main source of inspiration for us will be the gorgeous celebrity hairstyles. All of us want to look special on the Christmas holidays, and want to make everyone around feel jealous and envious. Why not? Indeed, the modern techniques will allow you try on the most unforgettable popular hairstyles and look natural. I emphasize this, cause hair trends 2016 are all about staying natural. So even if you have short hair and for New Year Eve you party hairstyles supposes a huge long hair wig, the main condition is its naturalness. Celebrity hairstyles are the main source of infinite inspiration for women all around the world. It is not only about runway fashion shows but also about many ceremonies that take place now and then and let us admire and follow all the popular hairstyles and make up and outfit trends, set by our beloved celebrities. This Sunday one of such events took place in Los Angeles - American Music Awards 2015 presenting all the fashionable looks from models, singers, actors and various artists. By following the images presented on the AMA's red carpet, we will be able to define the main hair trends for 2016 too.